Enter a world full of magic and have fun playing against a wizard in this slot by Betsoft - Alkemor's Tower.Set in a magical world where the wizard controls all the elements, players have to spin the reels and pray that the wizard is watching so that he, can help you land big wins. Alkemor's Tower is a 5 / 3 slot with 243 ways to win. There are also free spins and amazing bonus features.So get ready to discover what the wizard has in store and spin the reels for wonderful prizes. Alkemor's Tower has so much to offer. 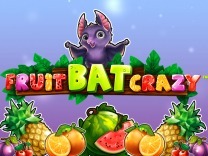 There are different levels which players can reach activating various gameplay just for excitement. 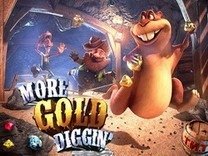 All these features have wonderful prizes and it is fun to watch as you land big wins. The various bonuses and symbols will get you spinning even more. You do not have to be a fan of wizardry to play this slot because it will payout generously as it is a medium variance slot.The graphics and visuals of this slot are well presented making it wonderful to play. The soundtrack also supports the game visuals nudging you to continue spinning the reels. As for the game itself loads seamlessly without any hitches and is compatible with various devices which include mobile and desktop.If you are searching for a game with loads of extra features then this is the slot to play. It is recommended for all players whether a novice or veteran. Alkemor's Tower offers players a wonderful gameplay where players will interact with different characters. The symbols in this game include the wizard, crystals, coins, a ring, jewels, mushroom, scroll and a weighing scale. These are the main symbols in the slot offering different payouts. 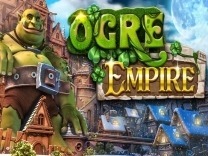 The highest payout you can receive while playing this slot is 1,750 credits for matching 5 of the wizard symbols while the lowest payout is 15 credits for matching 3 of the weighing scale symbols on a payline.Players can adjust their bet amount by using the -/+ button at the bottom of the slot display. 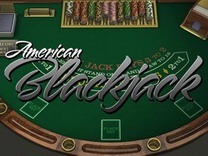 The slot offers a minimum and maximum coin value of between 0.01 and 1. Players can also set the number of coins which they can bet per line using the controls which are located at the bottom of the slot. For players who like to go all in can use the max bet button to spin the reels. In Alkemor's Tower, you will find 243 ways to win. This will give you multiple chances to win with each spin. To receive a payout you have to match 3 or more symbols on each reel from the left of the slot to the right. 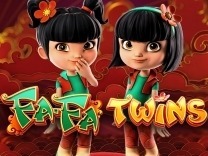 The longest combination will award a payout.The number of winning lines is calculated by multiplying the number of matching icons on each consecutive reel. Look out for the vine and black hole feature as these symbols will award handsomely. While this game will excite you with the base game, you will be surprised at the bonus features which are included in this slot. There are elemental spells in different colours mainly water, earth, fire and air. These spells will are triggered by combining spell books on reels 1 and 2 with the elemental symbol on reel 3. The elemental symbol on the 3rd reel will dictate the elemental spell which will be triggered. If you are lucky and you happen to land a spell book on reels 4 and 5, then the power of the spell will be increased. while in this gameplay, only one elemental feature can be triggered in a single spin.When the earth, air, fire and water elemental spells land on reel three, the wizard will summon a tremendous water wave, meteors, tornadoes or fire depending on the symbol, which will spread across the game screen. This will turn all elemental and spell book symbols into wilds while the 1st reel will be transformed into a paying symbol. all wins during this feature are recalculated and multiplied by the number of spell books and elemental symbol which triggered the feature.Apart from the elements, there is also a free spins feature known as the nature floor. combining the three nature floors which will transport you deeper into Alkemor's mystery floors. 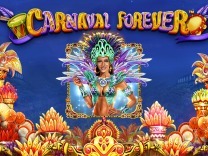 this will earn you 10, 12 or 15 free bonus spins depending on the elemental symbols in the magical environment. In this feature, there are brand new symbols as well as a unique feature. 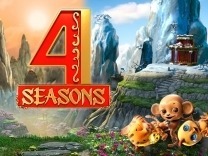 The symbols in this bonus games are different flowers with the highest paying out 80 coins for matching 5 of a kind while the lowest payout is 5 coins for matching 3 symbols of a kind.There is also a vine symbol which will devour all the neighbouring symbols on the reels with each payout for the symbol adding up and being paid out.Just like the nature floors, there is also a celestial floor which is triggered by landing 3 of the celestial floors symbols. 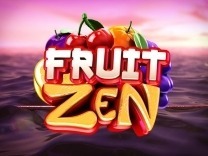 this will trigger 10, 12 or 15 free bonus spins and also transport you into a unique feature with different symbols. The payout is still the same as the nature floor.There is also a black hole symbol which will devour all other neighbouring symbols on the reels. You have to land the black hole symbols on reel 2 and 4 to trigger this feature.Finally, there is a double up feature which gives players the chance to double up their wins. This feature is presented as a coin toss with the players prompted to choose whether it is heads or tails.